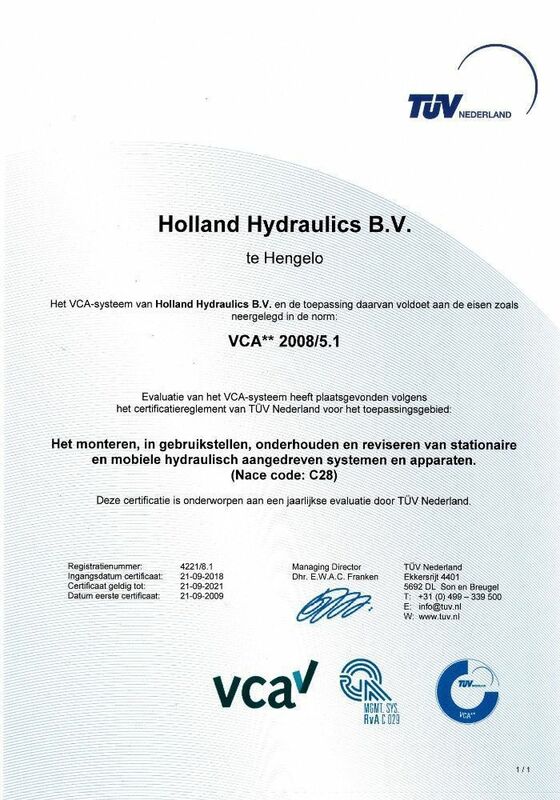 Holland Motion Group members have passed the NEN-EN-ISO 9001:2015 and the VCA** 2008/5.1 audits. This demonstrates that we are able to continue producing high quality products and delivering a consistent service to all our customers. 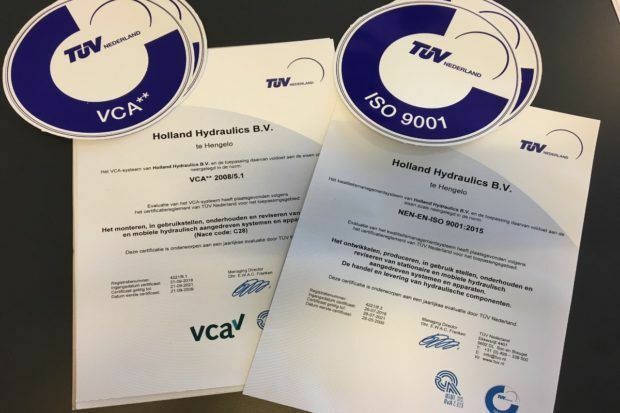 The NEN-EN-ISO 9001:2015 and the VCA** 2008/5.1 also shows we will always invest time and money into new technology, staff, processes and procedures. 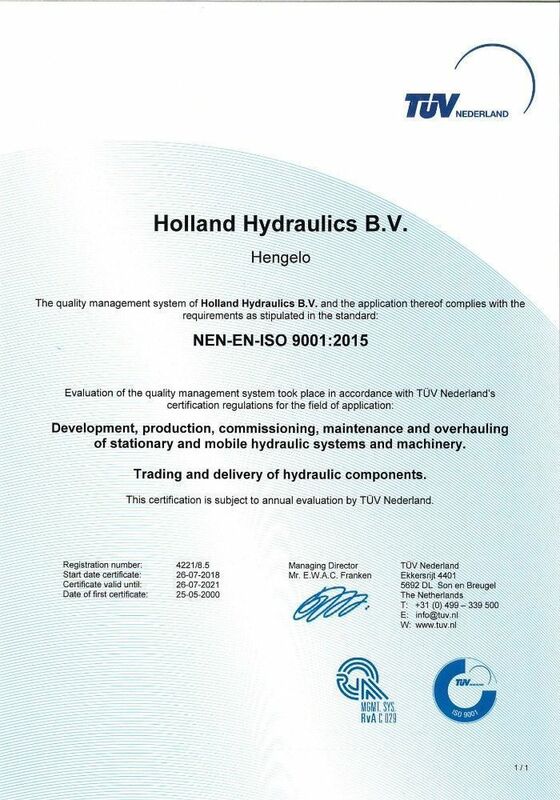 The NEN-EN-ISO 9001:2015 certificate is awarded to us for the revised quality management standards for development, production, commissioning, maintenance and overhauling of stationary and mobile hydraulic systems and machinery. The VCA** 2008/5.1. is a standard national recognition given to organisations who continue to uphold an efficient and effective health, safety and environment policy.